When Jenny Tiner opened Windy Kitty Cat Cafe, her goal from day one was to save cats. And she’s done just that. What’s more she’s been saving cats from Chicago’s municipal shelter, Chicago Animal Care and Control. Instead of being euthanized, the lucky cats land in the home-type setting of the cafe, until they are adopted. And, so far, all cats landing at Windy Kitty do find homes. However, what Tiner soon enough realized is that kittens are in need in more ways than one. First is the issue of sheer number of kittens, especially from Spring through the end of Fall. Also, kittens need attention which may be difficult to provide at the municipal facility. Foster homes save lives, but sadly there just aren’t nearly enough fosters or other shelters with the ability or willingness to save these kittens. To succeed, Tiner needed to build a kitten nursery. On August 1, Jenny Tiner, founder of The Windy Kitty set out to save the most vulnerable lives by building what she could of a kitten nursery for orphaned kittens inside the Windy Kitty. 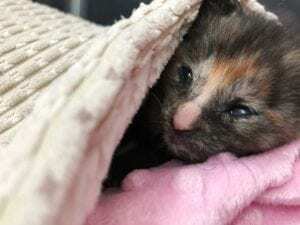 With the help of her partners, Windy Kitty has saved almost 40 kittens in 30 days! I’m no math wiz but that’s more than one kitten a day. Incredible, yes. But Tiner says she needs to do even better with more resources. Her goal is to at least raise enough money to get a kennel that can function as full ISO units if need be for their safety. 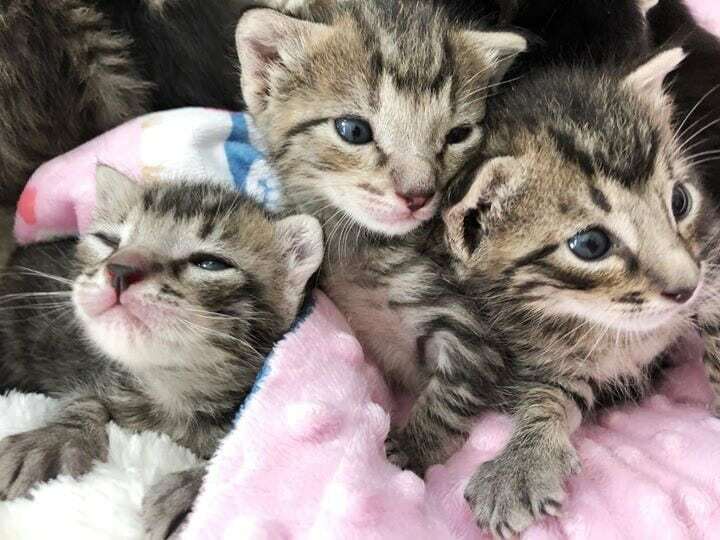 Orphaned kittens are the first to be euthanized if they are still bottle feeding as there is no one to care for them and a lot of them would fade overnight if not put to sleep. If at any time of year (particularly in the Winter), there aren’t enough kittens for the nursery, Tiner can help to treat injured cats or cats with special needs using the facilities in the nursery. Donate $100 or more and you have an engraved plate on a kennel with your name, or any chosen name, in your honor as thanks for all to see. Donate $50 or more and you can name a kitten! There are 7 kittens that need names right now and just opened their eyes.